Fly into a world of happiness when you make these totally cool crafts for kids. 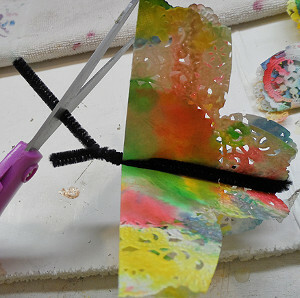 The Watercolor-ful Doily Butterflies are cheerful, spring kids' crafts that add a burst of color wherever they're placed. Hang these from the ceiling for a fun, flying effect, or place them around the house as wonderful, bright surprises. 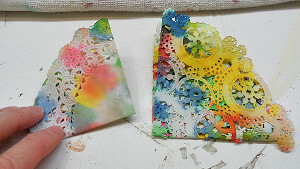 This rad technique from Amanda Formaro is a blast and easy enough for the little ones to participate. 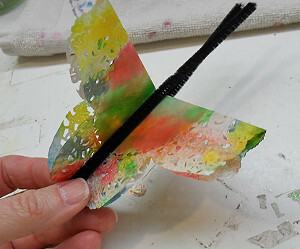 These butterfly crafts are very affordable, allowing your little ones to make tons of pretty pals. Because these kids' crafts are so easy to make, you could easily make the in a classroom setting to brighten up the room for springtime. 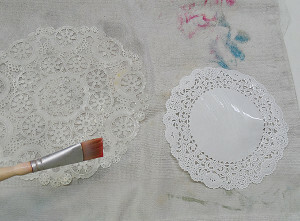 Place the doilies onto a towel that you are not concerned about staining. 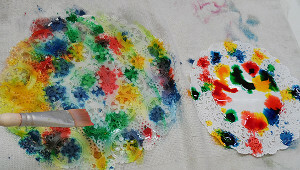 Paint both sides of each doily with water. Be sure to handle them carefully as they are delicate and can tear easily. 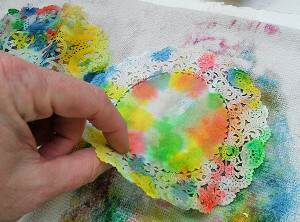 Use scissors to cut a simple butterfly shape by cutting a small triangle section out of the center of the doily's side. Love this project? Find even more fun crafts for kids in this collection of 35 Butterflies for Kids to Make! 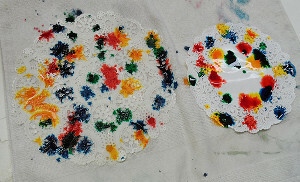 These doily butterflies look like a blast to make and thank you for the detailed and simple instructions! You could make several,of these and attach thin thread or clear fishing line and hang them from the ceiling over baby's crib, or string in a row for a pretty garland in the sunroom! 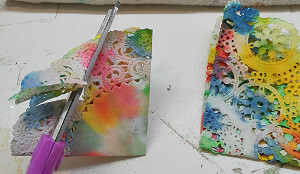 For further embellishment you could brush on some glitter with white glue. 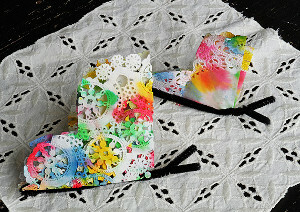 Such a cute and fun project! Thanks for sharing!